I’ll be honest in saying that I was a bit sad to see Medaka Box go. Sure, it kinda tired itself out with plots going off-tangent at times but it was also quirky enough to be a unique “taste” of manga that you won’t really see as much in other more popular (and more successful) titles. It’s not revolutionary, what NisiOisiN (of Bakemonogatari fame) did, but out of nowhere twists and parodies and awesome characters (and side characters to boot) were sure as hell fun to read about. 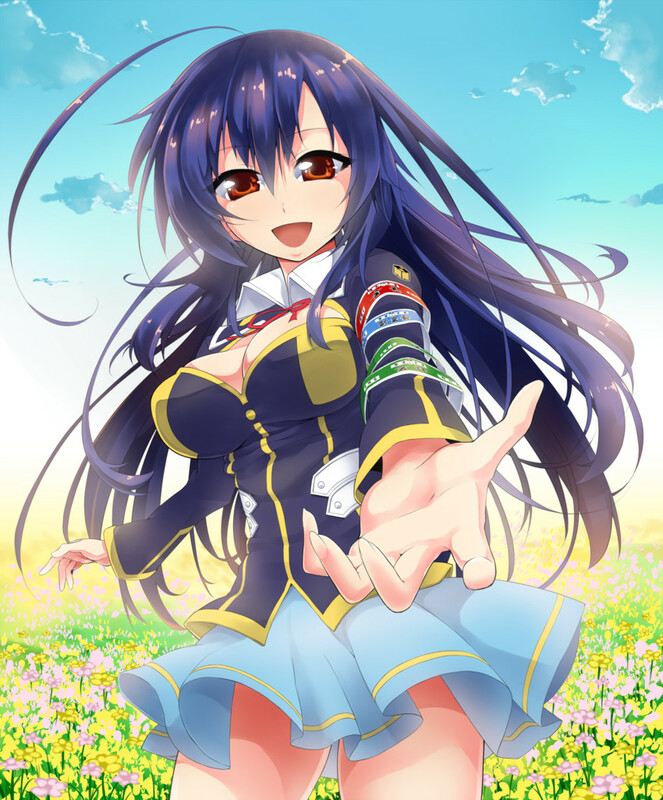 I’m not a big manga reader myself though, and if it wasn’t for the recommendation of a friend I probably would never even try reading Medaka Box. Thankfully I did, and I got to see it off with, probably the most awkward ending to manga I’ve seen – and it couldn’t have fit any better. I’m certain a lot of people who followed the manga would disagree, but hear me out. Medaka Box had plenty of opportunities to end way before it actually did. In a way it was like the manga-that-cried-ending. 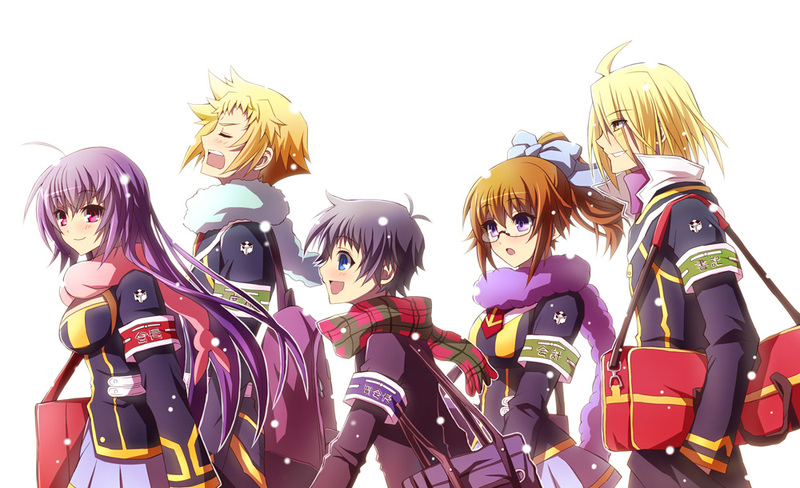 But, time-and-time again, from the initial surprise to the complacent expectations of its readers; Medaka Box went on. Now, throughout the series, NisiOisiN had pulled a number of rather amusing twists that you couldn’t help but think “man, how will this guy end it”. The series was practically too far-gone for a conventional ending (though, I highly doubt anyone wanted anything conventional out of Medaka Box). On the other hand, he has, on occasion, trolled his audience as well. He even ended the series right when no one else thought he would! So, in effect, I think it was actually inevitable that Medaka Box would end like this. I mean, how could it not right? For fans of the Monogatari series (and the lesser known Zaregoto series) like myself, one couldn’t help but to expect the unexpected. However, it was not until the final moments of Medaka Box that it shows a little bit of the perspective that it runs by; most of it being recurring themes in NisiOisiN’s work. A nice point of reference (and a really enlightening read) on this exact topic would be here – an afterword to NisiOisiN’s first novel, as well as some good afterthoughts on the themes that he uses. The post is spot on, I believe. NisiOisiN really does like to write about “geniuses” and “failures”, and how public perception identifies the two. To add on to what the post author has already said; there’re two more themes that I believe NisiOisiN has used more than once over. The first being “fighting is meaningless”. Take Medaka Box for instance. Despite it being (evolving into) a battle manga with more than a decent handful of life-or-death fights, no one really dies. It’s not like I want to see bodies falling left and right, but you have to agree that there were literally some death-defying moments in there for some characters. What’s more, the conflict is resolved regardless of who “wins” and enemies quickly become allies come the next arc. At the very core of all this, doesn’t it display that fighting became more of a burden than it was a necessity? A clearer example is the entire premise of Katanagatari – Shichika fought and lived for no reason other than to fight, live and be with Togame, who’re both essentially fighting a fight they have no business with and will knowingly lose in the end, at the cost of their lives and the lives of other people who wouldn’t have died had they decided not to fight. The second (which is more speculative on my part) is that “the abnormal mundane is still mundane”. I first had this idea when I started comparing Bakemonogatari and xxxHolic when I first watched them. Think about it – if you take away everything about the oddities and the supernatural, Bakemonogatari becomes a story of Koyomi, a guy with his own problems, trying to help other people with theirs; a story of reaching out to others, instead of taking it all in and keeping your problems to yourself. Again, this is just pure speculation from me, but when I started to look at NisiOisiN’s stories as that of the read-between-the-lines category, Medaka Box’s ending didn’t seem as random as it would at face value. 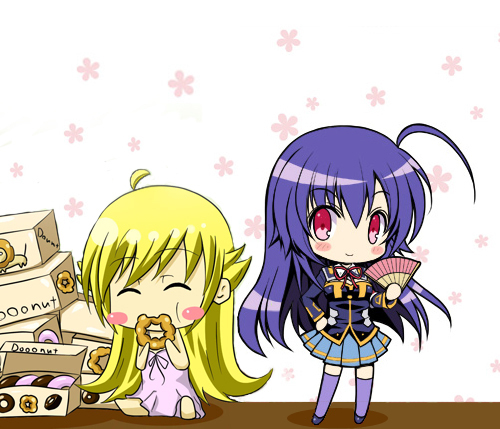 Kurokami Medaka wanted to make a garden out of the sandbox that is Hakoniwa Academy. She wanted to make the mundane school-life of everyone a fresh, flowery, blooming mundane school-life that herself and everyone can look back on with glee. When it’s all said and done, Medaka, Zenkichi, and everyone did just that. The happy end was justified by the means that got them there. 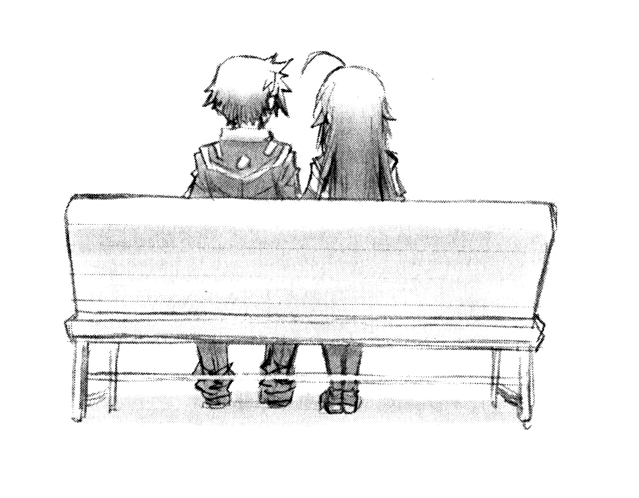 With that, I formally say goodbye to Medaka Box. Let us all now resume our waiting for the eventual release of Kizumonogatari the movie. This entry was posted in Articles and tagged Bakemonogatari, Katanagatari, Manga, Medaka Box, Nisio Isin by Leap250. Bookmark the permalink.